This post originally appeared on April 20, 2012. 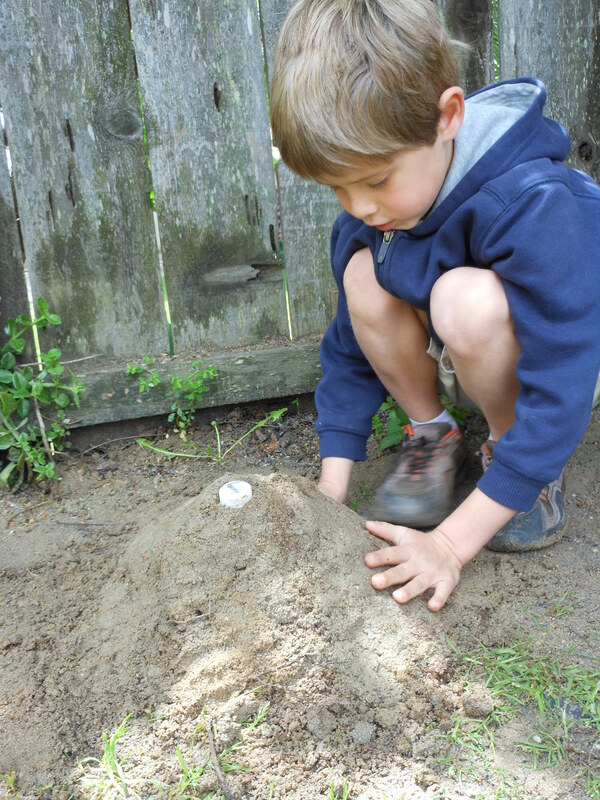 Volcano, volcano, volcano… over the weekend we did nothing but learn about and play with VOLCANOES! I know I learned a lot. 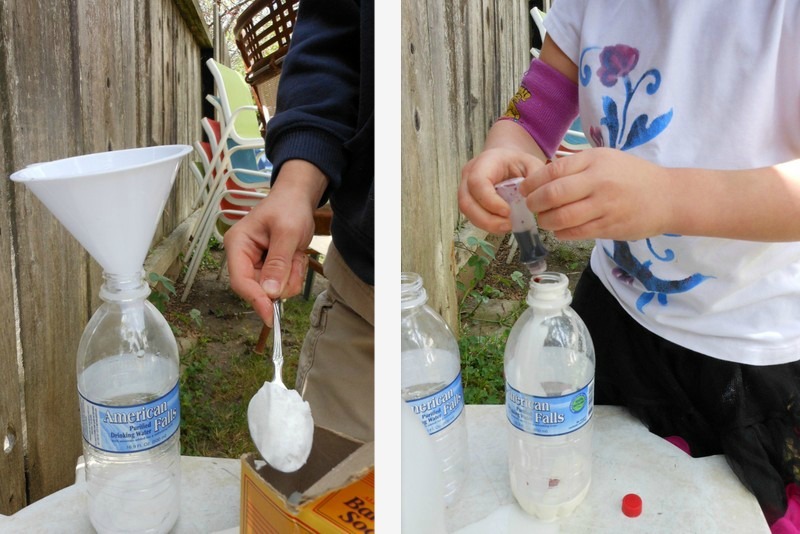 Of course there is no way you can talk about volcanoes without making one. I found this great idea over at Kids Activities Blog for How To Build a Volcano. 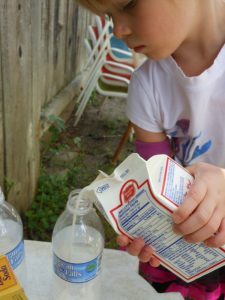 Big M filled a separate cup with vinegar (about 1/2 cup) and we set that aside for later. 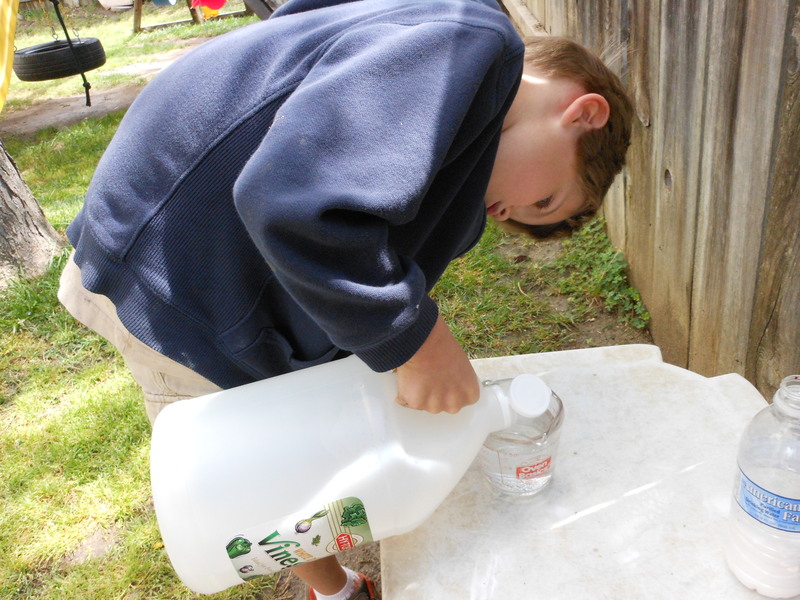 We capped the bottles so no dirt would get in… then they built mountains around their bottles. Little M went first… open the cap and pour in the vinegar. Big M noticed that the red barely showed up for Little M so he dumped the rest of the food coloring into his bottle. I think that was a pretty good choice…. the red made it so much fun! 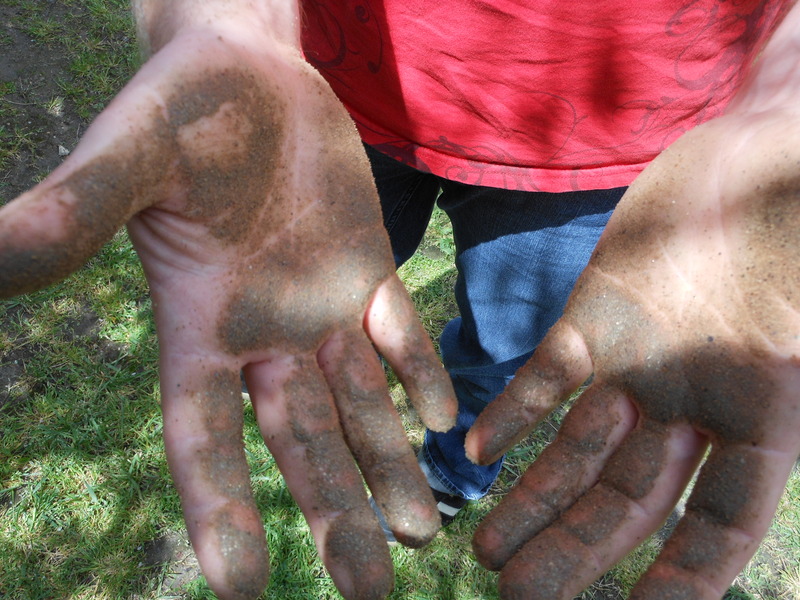 Tip: Right now we are working on getting a new dirt play area set up. 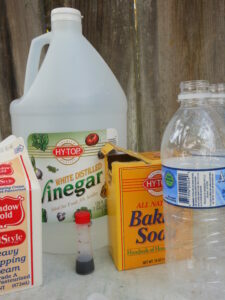 Once we do I plan to give the kids all of the materials (plus 6 boxes of baking soda and an entire gallon of vinegar) so they can play around with volcanoes on their own. Doesn’t that sound fun?!?! 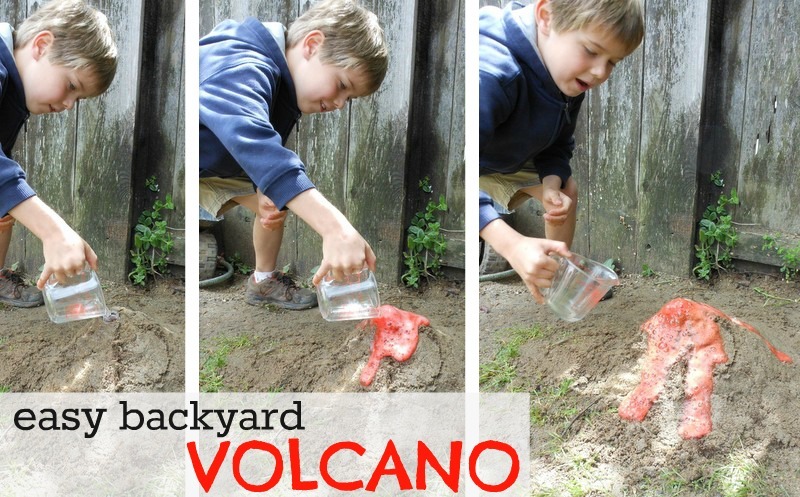 This post is a part of the VOLCANO lesson plan. Oh wow! So fun! I can’t wait to try this! I can’t wait to see what fun spin you put on it! Love the no clean up! Found you via KBN. I love you they way you did this classic experiment. 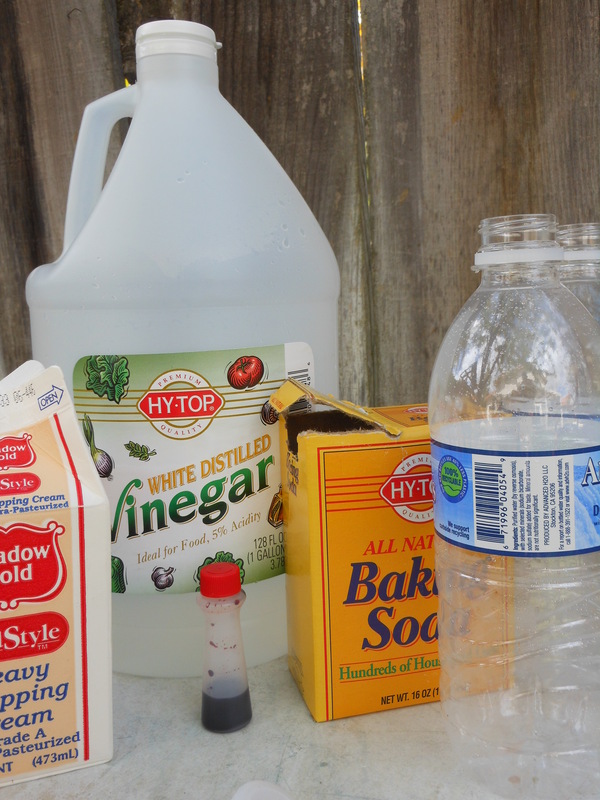 We were playing around with baking soda and vinegar in champagne glasses this week. 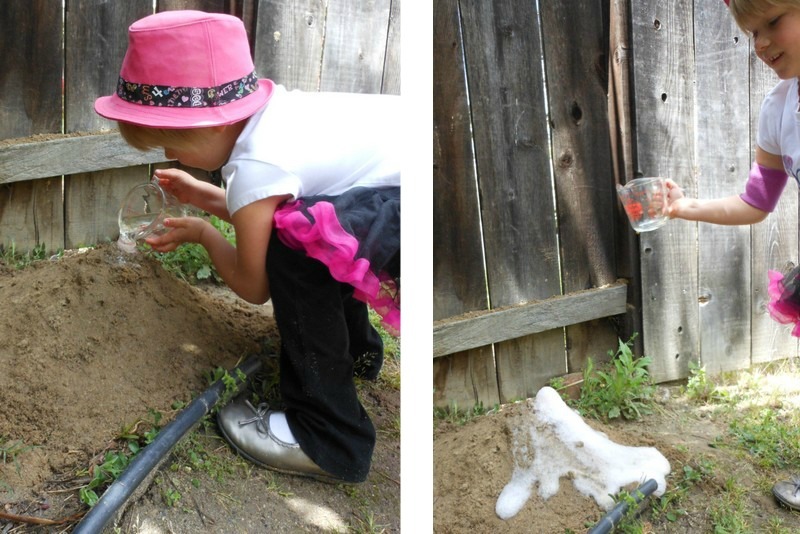 That was kind of neat but I love the idea of burying the bottle in the dirt and making it look like an actual bottle! Great blog 🙂 Following you! Thank you Jen! So glad you are here. 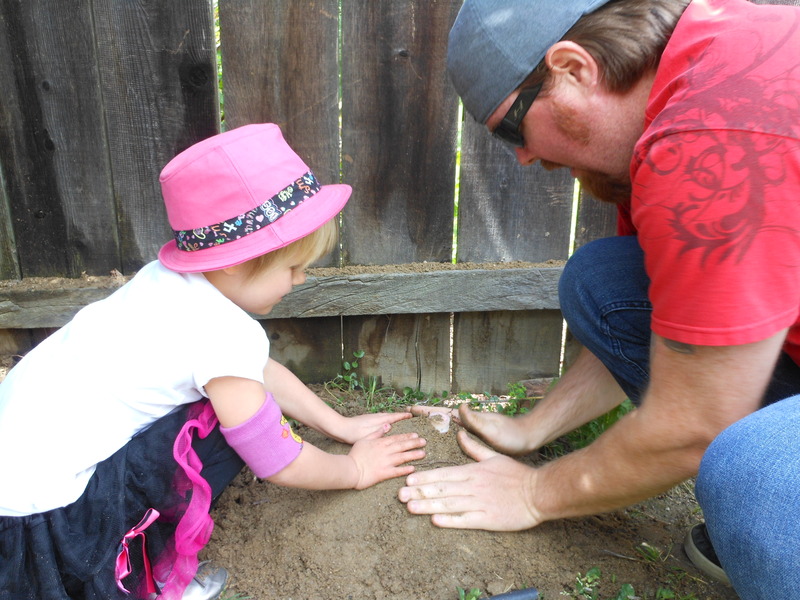 We are in the middle of fixing up our dirt area. I can’t wait for it to be done so we can make volcano after volcano! Always a fun activity!! Thanks for sharing at the Thoughtful Spot Weekly Blog Hop!